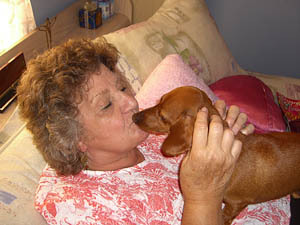 Dachshund Says Happy Mother’s Day! HAPPY MOTHER”S DAY to all the Mommies, fur baby Mommies, Grand mommies and Great Grand mommies out there! We thank you for your guidance, patience, caring, teaching and most of all, your steadfast love.